I have recently been giving a lot of thought to the painting of the cab and later body. I would love to have a really good job done by a professional paint shop but several things make that awkward and cost prohibited. I then thought I would spray the truck in the workshop, but then realized its really dirty and dusty in there and everything would get covered in over spray. 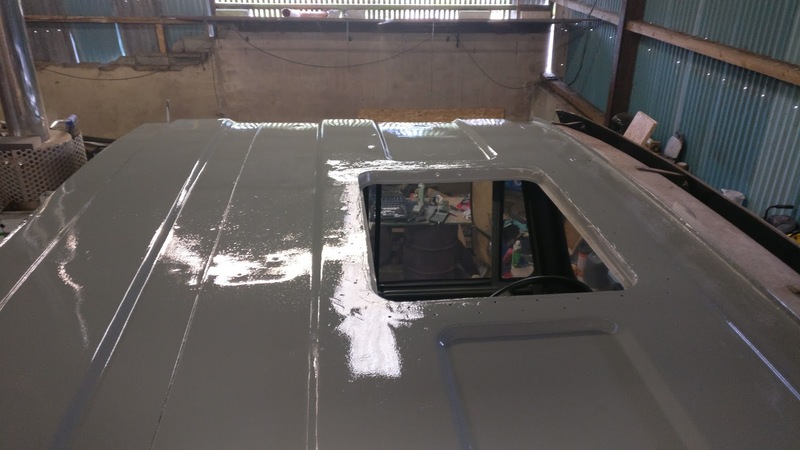 Then I came across a Volkswagon van forum, that was talking about painting with a roller, I thought that this can't possibly be any good, but then saw pictures and videos of the finished product. These guys were able to get a showroom finish with a roller! So to sum up, I am not looking for a showroom finish, after all, it's an off road truck, I am looking not to get paint everywhere, and I don't want to spend a fortune on paint, also I would like to be able to do it myself in my own workshop. It's important to remember, this is an old truck. 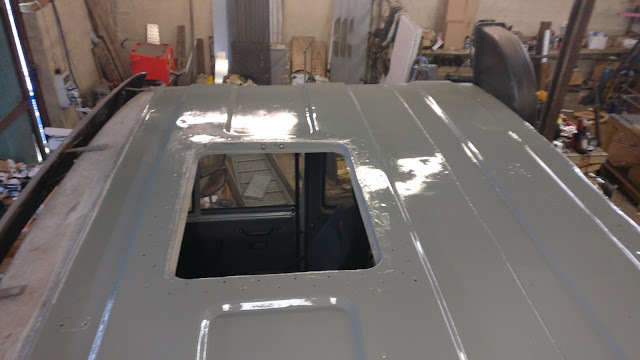 So I decided to first paint the roof of the cab, I needed to do it before I fit the air conn to it and I figured if I mess it up it won't be seen anyway. Overall I was very pleased with the results, two coats of paint, total cost less than a tenner.